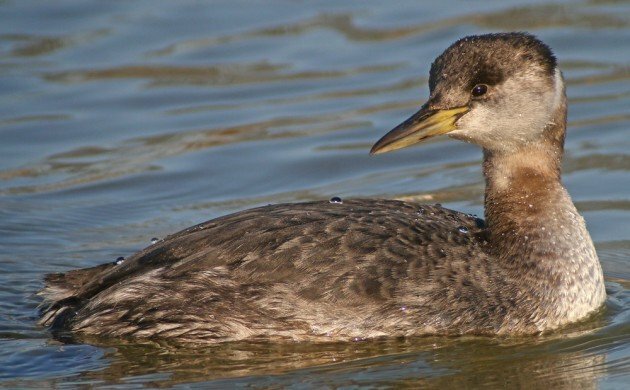 The first weekend of March had me upstate which means that I didn’t get to see the Red-necked Grebe that Doug Futuyma found at Baisley Pond Park. 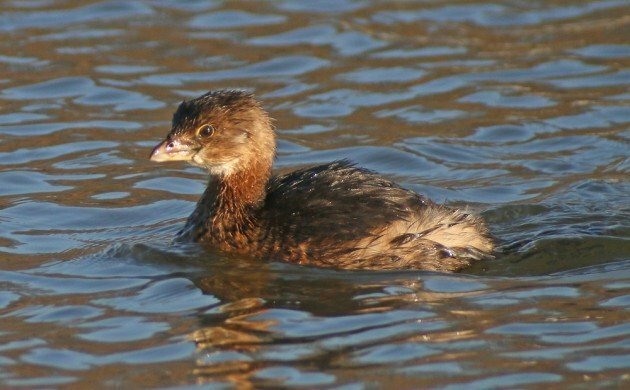 Though Red-necked Grebes are around in small numbers each winter in New York City and Long Island they generally aren’t a terribly cooperative bird: even last winter when large numbers came south because they were frozen out up north the best looks I managed were of relatively distant birds. So I was eager to see if the bird at Baisley Pond Park would stick around and give me a chance to see it. Fortunately, the grebe was still present and it was swimming around in what open water there was at the south end of the pond where the light is the best. Though it was still in basic plumage and did not yet have its namesake field mark that it shares with country boys, it was still a pleasure to watch the grebe as it dove for food and interacted with other birds. Such close looks in good light made for an excellent digiscoping opportunity! 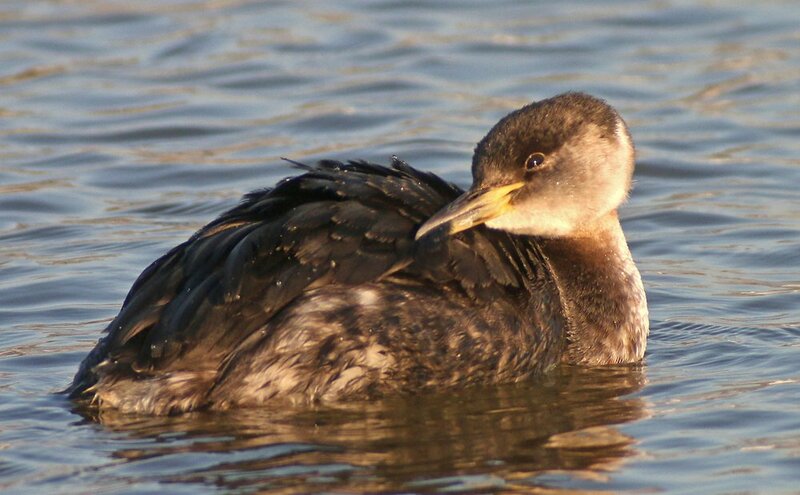 The Red-necked Grebe preened a few times, seemingly dismayed by the ice that fouled its feathers. At one point it pulled a feather off and brandished like a medieval knight with a sword. No one was impressed. No one was impressed, that is, until the feather was dropped. 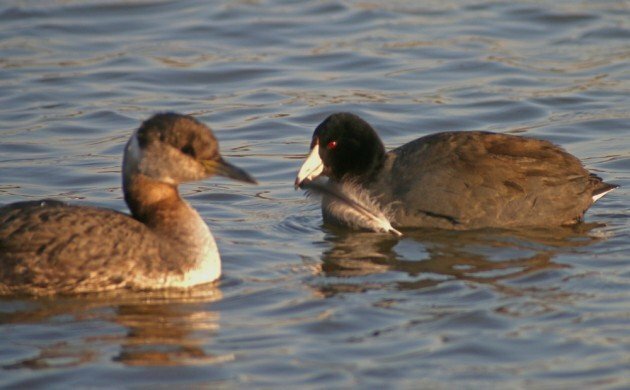 Then an American Coot charged in to see if it would taste good. It didn’t. I really couldn’t get over the looks I was getting and I took over three hundred pictures. 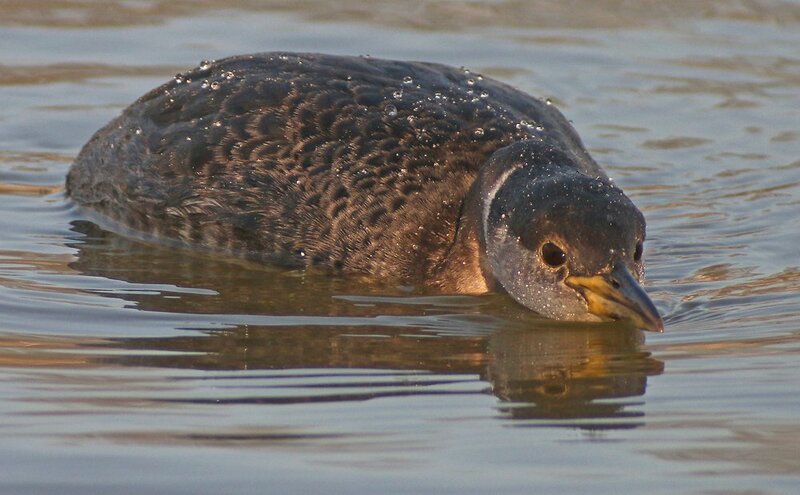 Most amusing was when this Pied-billed Grebe would stray too close. 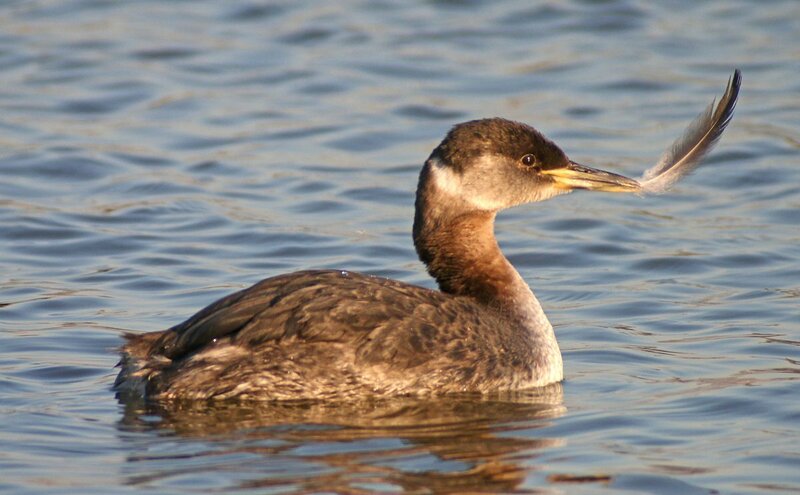 The Red-necked Grebe did not like that one bit. 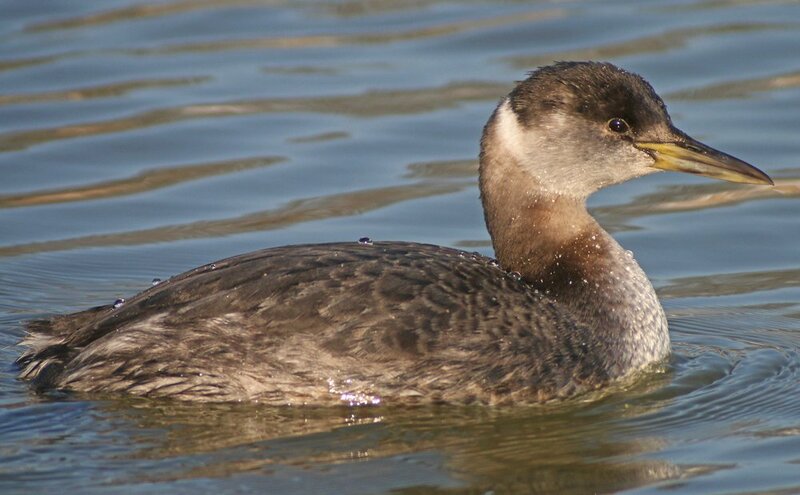 Whenever the Pied-billed Grebe came too close the Red-necked Grebe would get low and charge. 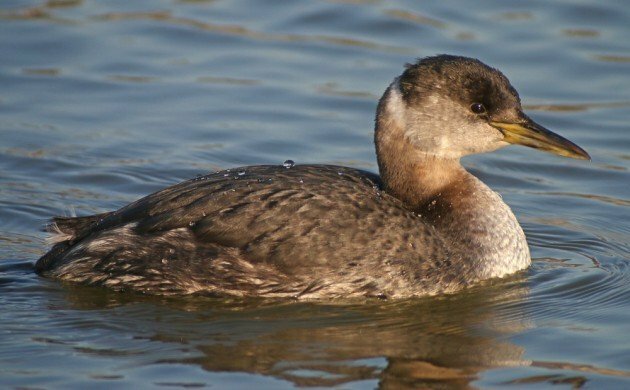 The Pied-billed Grebe, outclassed, would retreat every time. What an amazing encounter! What was your best look at a Red-necked Grebe? 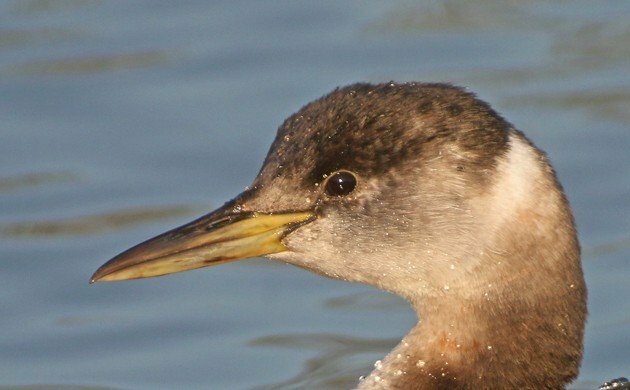 If you liked these photos of a Red-necked Grebe and want to see more great images of birds and other creatures make sure to check out 10,000 Clicks, our big (and growing) page of galleries here at 10,000 Birds. 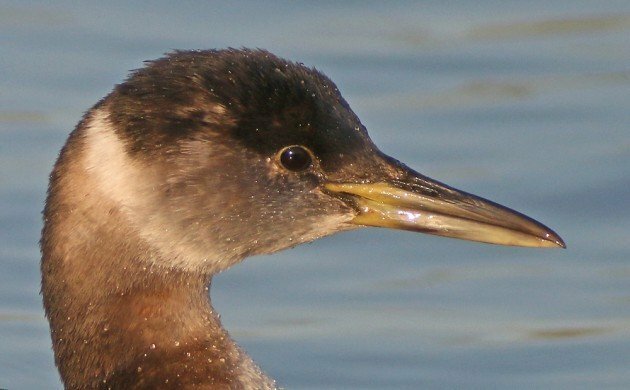 Dang, that’s a close grebe! What awesome looks. I can’t remember what my best look at one was but it was never anything like that! On another note, now I am sure that coots are the zombies of the bird world. What remarkable photos! This reads like a children’s book. It’s just beautiful! Well, on the German Baltic coast, Red-necked Grebes are quite common, and one can frequently walk out on one of the many wooden jetties and have them swim right below you.